PGCIL Recruitment 2017-2018 Apply Online Application Form, 45 Field Engineer, Field Supervisor. 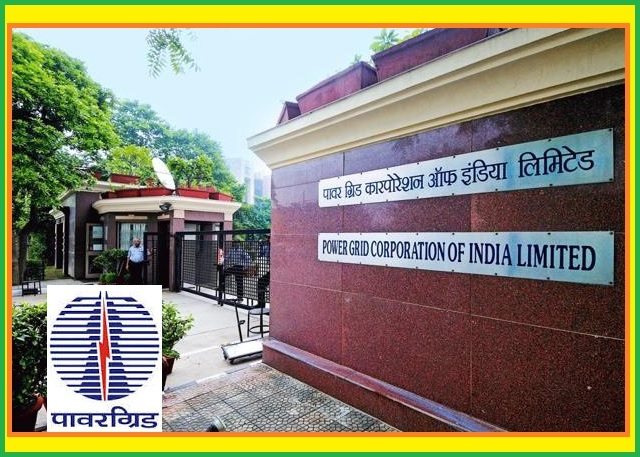 PGCIL India Jobs Interested and Eligible apply on-line through Official website www.powergridindia.com. The last date for submission of Online applications is 25.12.2017. PGCIL pattern of examination, Syllabus, Question Paper, Admit Date Release Date, Exam Date, Result Date etc. PGCIL Recruitment 2017 Field Engineer, Field Supervisor Post the stipulated criteria before Applying Now. No of Vacancy : 17 Posts. Pay Scale : Rs. 30,000/- (Consolidated) during 1st Years and Rs. 33,000/- (Consolidated) during 2nd Years. Age Limit : Maximum 29 Years for General, 32 Years for OBC (NCL) and 34 Years for SC category. No of Vacancy : 04 Posts. No of Vacancy : 20 Posts. Pay Scale : Rs. 23,000/- (Consolidated) during 1st Years and Rs. 25,500/- (Consolidated) during 2nd Years. 4.Post Name : Field Supervisor (Civil). Educational Qualification For Field Engineer (Electrical) Posts : Passed B.E/B.Tech/B.Sc(Engg. )/AMIE in Electrical Discipline or equivalent from recognized university/Institute with minimum 55% marks for General and OBC (NCL) categories and pass marks for SC category. Educational Qualification For Field Supervisor (Electrical) Posts : Passed Diploma in Electrical Engineering from recognized Technical Board/Institute with minimum 55% marks for General and OBC (NCL) categories and pass marks for SC category. Selection Process: Written Exam / Interview. Application Fee: Candidates belonging to General /OBC category have to pay Rs. 300/- For Field Engineer Posts and Rs. 200/- for Field Supervisor and No fee for SC/ST/PWD Category. The Fee Can Pay through Online. Starting Date for Submission of Online Application form : 06.12.2017. Last Date for Submission of Online Application form : 12.12.2017. Last date for deposit of fee through Online Mode : 26.12.2017. Cut-Off date for the purpose of upper age limit: 26.12.2017.